Brandie started working at Hypo2 as a massage therapist in 2014 after graduating from the Arizona School of Integrative Studies in Flagstaff. She works with many of Hypo2’s elite athletes and teams, as well as members of the Flagstaff Community. 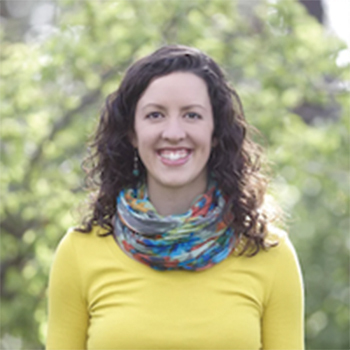 With her scientific knowledge base, and her background as a rock climber and yogi, Brandie provides energetic, mindful and effective therapy. She caters each session to meet her client’s needs, focusing on deep tissue modalities, sports massage, injury rehabilitation and trigger point therapy. Brandie is also a new mother and spends lots of time playing outside with her son Porter, husband Bradley, who also works at Hypo2, and tiny dog, Watson. Bradley’s experience with massage began when he received regular sports massage as an athlete in middle school. In 2002 Bradley moved to Flagstaff to attend NAU. 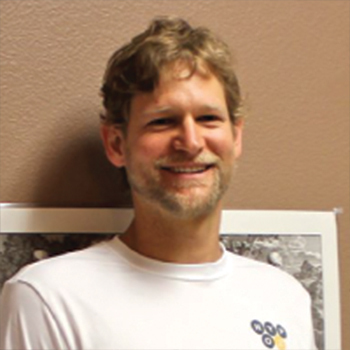 In 2006, between his undergraduate studies in Biology and graduate studies in Nutritional Biochemistry, Bradley completed a 650 hour massage therapy program at the Arizona School of Integrative Studies. Bradley has taught classes in injury rehabilitation, sports massage, nutrition and hydrotherapy. In 2014, Bradley joined Hypo2 and his practice shifted to focus primarily on sports massage. Bradley’s scientific background and experience as a lifelong athlete gives him an understanding of what a training athlete needs. His approach to bodywork focuses on fascial and deep tissue techniques and aims to improve mobility and to decrease recovery time. With over 10 years of massage experience as well as his knowledge of anatomy and science, Bradley provides specific and effective therapy. Rock climbing is Bradley’s current athletic obsession. In between workouts, he is a student of training and recovery techniques. When not working, Bradley can be found outdoors, climbing or exploring with his wife, Brandie, and son, Porter. If the weather is poor, he is likely working in his wood shop. Monica received her massage license in 1997 from one of the leading schools in the country, Brian Utting School of Massage in Seattle. From this 900 hour training Monica acquired in-depth skills in Deep Tissue, Sports and Swedish Massage. In 2003 she completed training in Kinesis Myofascial Integration (KMI) a 500 hour program in Structural Integration. In addition she is a Certified Personal Trainer through NASM,and CHEK Holistic Lifestyle Coach Level, she uses these to give corrective exercise programs to maintain long term results. Monica was the Fitness Manager at the Flagstaff Athletic Club for 3 years but decided to step out of that roll to increase her availability to work one on one with people. With her wide spectrum of skills she is able to address each client’s specific needs. Monica has worked extensively with numerous elite distance runners and Olympic athletes as well as people with acute or chronic structural issues such as back pain. In total Monica has over 2,000 hours of training and with this training Monica strives to get to the source of problems and aims at the resolution of injuries or pain. Monica believes that through proper movement and tissue health we can improve our quality of life.